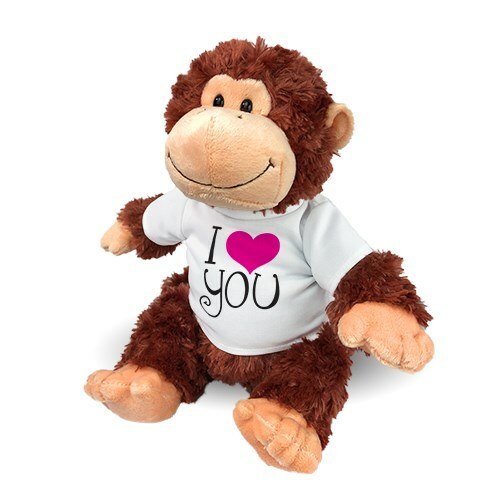 Showcases your love like no other with this romantic "I Heart You" plush monkey. Our loving design is featured on our Tubbie Wubbie Chimp who has velvety soft shaggy plush fur, charming facial expression & an overstuffed cuddly body. Measuring 12” tall. Free gift wrapping and a free gift message are included to create a thoughtful presentation. Additional Details Look through all of our Valentine's bears and wedding plush to find the perfect stuffed animal!